The charitable giving of so many generous individuals and groups has enabled us to become one of the nation’s premier military schools for boys and makes possible the outstanding faculty, staff and facilities available to the Corps of Cadets. 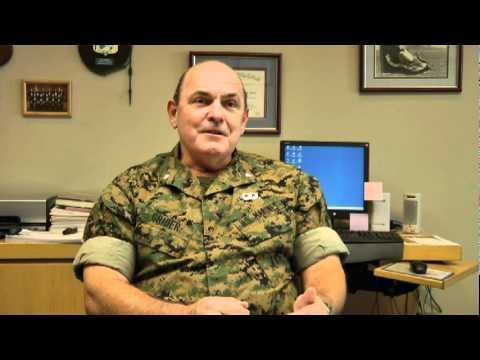 LtCol Grider discusses how your contributions are shaping our future leaders. As a non-profit institution, we depend largely on the generosity of others to help fulfill our mission of educating cadets based on Marine Corps tradition. Please view the many ways you can experience the satisfaction of contributing to the Marine Military Academy Corps of Cadets’ continuing success. Find out how you can make a difference in a boys life by supporting Marine Military Academy and its education and leadership programs. Make a lasting donation. The Marine Military Academy offers our supporters an excellent opportunity to directly impact the success of the institution and the development of tomorrow's leaders. Your help can make a great impact in the life of an underprivileged prospective to our military school by contributing to one of our scholarship funds. Contact information for the Development staff at the Marine Military Academy. They answer your questions reguarding donations and other ways to support MMA. Answers to common questions regarding donations and support at the Marine Military Academy.